A lucky camper I have been. For the past five months I have been playing with these two magnificent sets of tubes, kindly provided by Grant Fidelity. 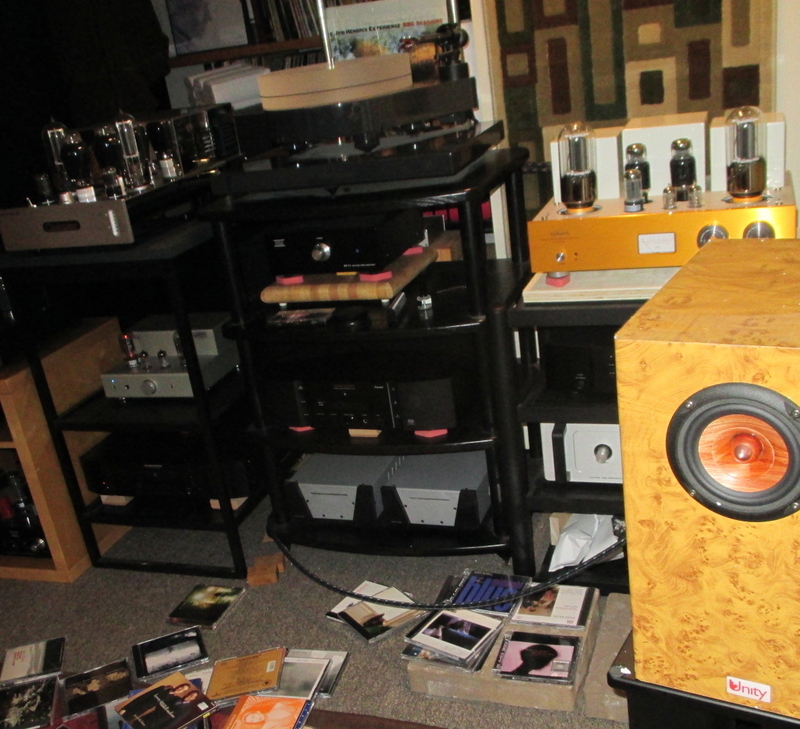 And for four of those months, I had the opportunity to use the tubes in two amplifiers–my Line Magnetic LM 518ia and the Coincident Turbo SE 845 I reviewed for 6moons. In light of the ample opportunity I have had to swap these tubes in and out of two amps and the chance to compare them with one another, I am ready to comment on these tubes with an unusual amount of confidence. Both tubes under review are spectacular values. 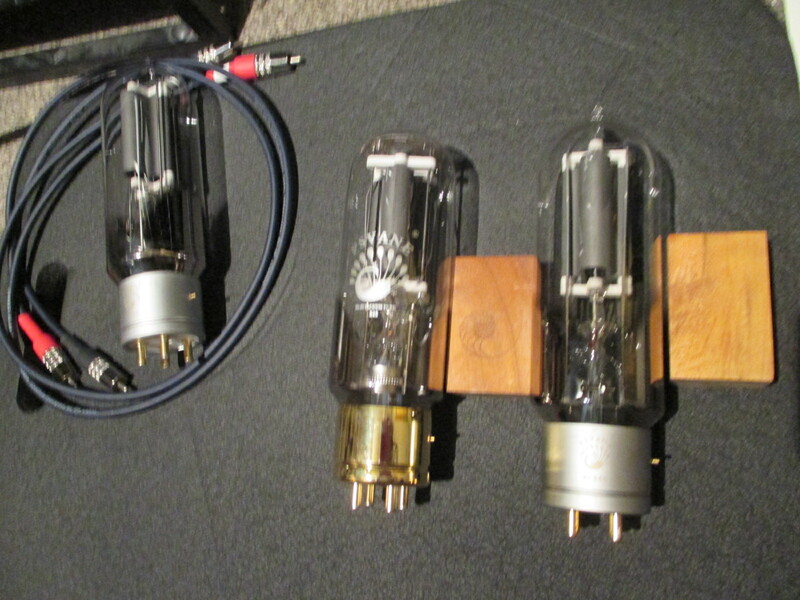 Both the T-II and the WE Replica are worthwhile upgrades over Psvane’s fine entry level 845 tubes, which I own. Which one to buy, the T-II or the WE Replica? You’ll likely be happy with either one. I would opt for the T-II since it delivers that warm, full, smooth, tonally saturated sound I love, especially with guitars. The T-II is simply a ravishing tube, perhaps my favourite of all power tubes. It has everything I want–speed, warmth, fullness of sound, tonal saturation, low noise. It takes a potentially strident Fostex driver and harnesses all the strengths of that ultra-fast driver all the while taming its high end. It makes Marcin Wasilewski’s piano sound utterly mesmerizing, with uber-warmth and endless decay. This tube gives weight and heft to piano I never thought possible with bookshelf speakers. The T-II tube works with everything–Harbeth, Tekton, Unity Audio, homemade DIY’ers based on Fostex, Mordaunt Short Carnival 2…everything. At $399 it’s not pocket change but it goes down easier than the $649 price tag on the WE Replica. This is a powerful and full-sounding tube with ample detail retrieval but it seems just ever so slightly rolled off at the top, which I like. Nevertheless, cymbals are fully defined with no smear and this tube is crystal clear. Its full midrange may trick the ear into thinking it is less detailed than its more expensive brother, the WE Replica. 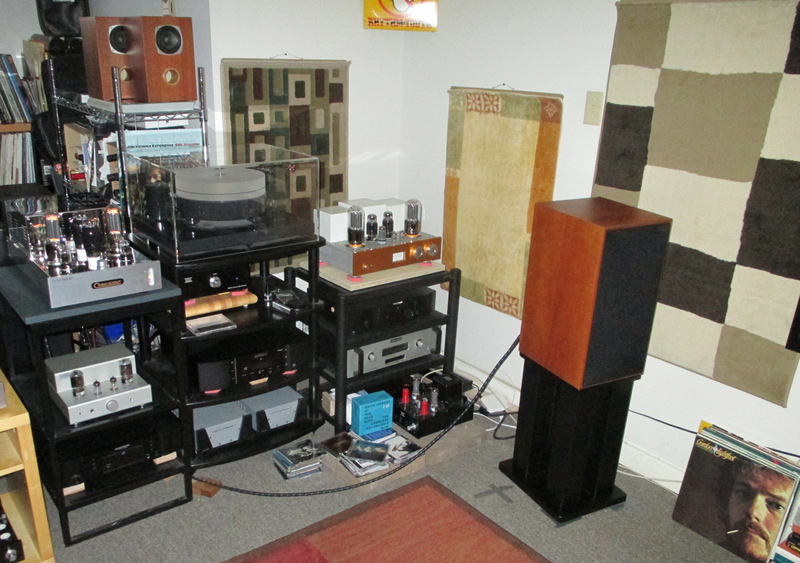 The only clear-cut big difference between the two tubes in my listening room setting is the WE Replica’s drier and deeper bass, plus its lower noise floor. With rock and orchestral music, most people will probably prefer the WE Replica. WE Replica on the left, in the Coincident Turbo 845 SE. The T-II is in the centre-right in my Line Magnetic amp. The WE Replica is clearly a better all-around tube. It reduces noise and hum to the lowest possible level. Most people will love its deep, deep bass, its iron fisted grip on the music, its remarkable speed and boogie factor. It has bite with Bill Frisell’s electric guitar. This tube is like a Sanken solid state speed demon with the holography of a 300B. As I said, each tube is brilliant and a testament to Psvane’s engineering prowess, but this one has that little extra bit of bite, depth and speed. 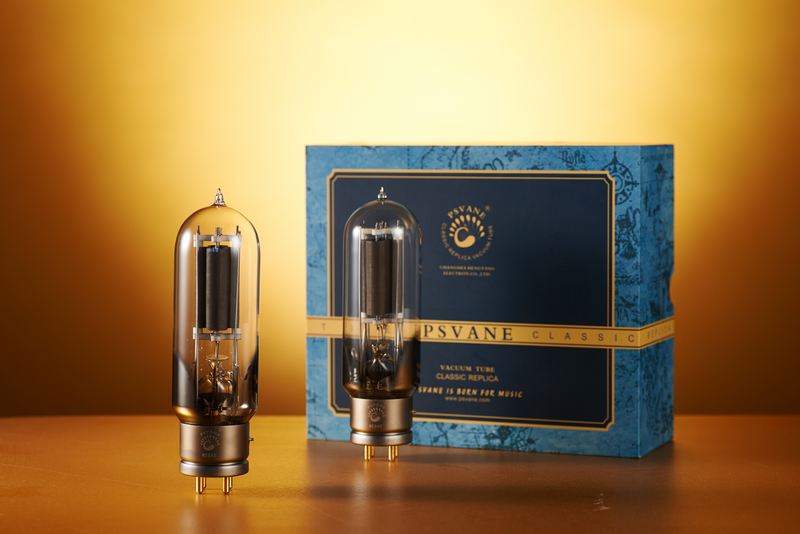 Who needs overpriced and warranty-less ‘NOS’ or OS RCA tubes when Psvane is making such fine products at a fraction of the price and with a warranty? My track record with Psvane and Shuguang tubes has been nothing but positive. 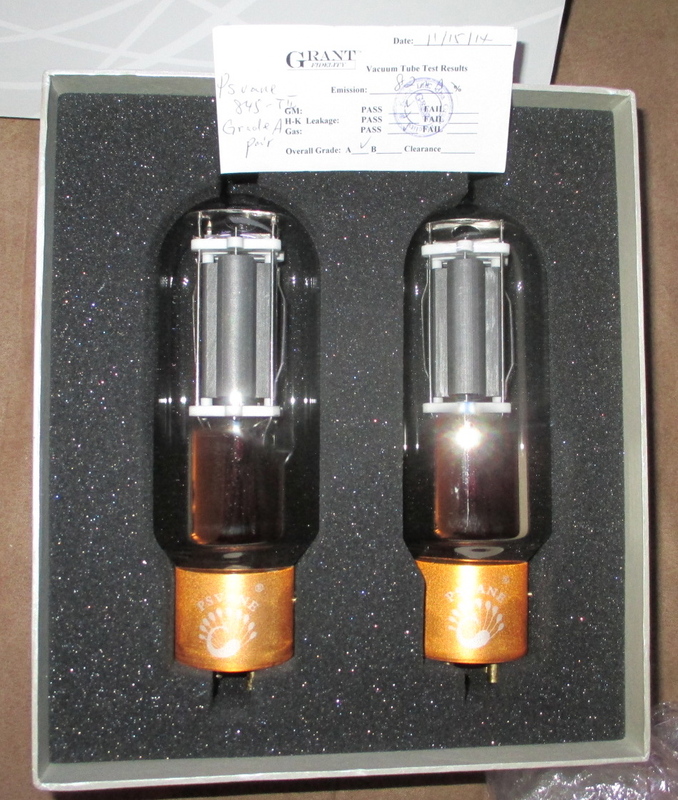 With the black and grey bottled versions of their KT88, EL34, 300B, 2A3, 12AU7 and 12AX7 tubes, I have been 100% pleased and in some cases I am convinced that these contemporary tubes are better than anything made during the 1950s or 1960s in Europe or North America. I certainly feel that way about Psvane’s top KT88, which I have used with astonishing results with a Musical Paradise single-ended amplifier. Above: sheer, utter magic. Unity Audio with Line Magnetic using the Psvane T-II. A perfect match. The WE Replica is awkwardly named since Western Electric never made a proper 845 tube. But WE certainly made the legendary and rare 284A with similar construction and sonic attributes. Psvane claims its goal was to capture the magic of the old RCA 845 and the WE near-equivalent. A quick look and comparison with the standard grade Psvane tubes reveals a sturdier inner build to keep microphonics to a minimum. Exotic coatings to reduce wayward electrons apparently helps. Teflon bases, oxidized aluminum collars…the list of improvements over the stock tubes is long and wide. Quality control is high. The T-II is wide and fat; the WE Replica is a standard shape but bigger and with a nib at the tip. Both tubes apparently do a better job with heat dissipation than the stock Psvane tubes. Top Center: the Psvane entry-level tube. Top Right: the WE Replica. Bigger, bolder, stronger, faster, higher. Better. Below: the magnificent, phat T-II. I love this tube. The T-II’s brass-looking base goes perfectly with the orange front plate of my Line Magnetic amp. I found the T-II was best suited to my Line Magnetic amp. The WE Replica took the Coincident Turbo 845 SE (below), to the stratosphere but the T-II was no slouch either. Amazing! Both the T-II and the WE Replica will instantly shock you with the way the make music seem louder, fuller, more complete, less thin (as if an 845 tube could be accused of thinness!) 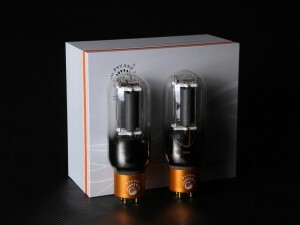 than the stock Psvane tubes that come with many high-end 845-based amps. Both tubes impart a sense of muscularity, bounciness, ease of musical flow. Jazz trios will flow like a smooth stream, especially with the T-II. Electric guitars will jump out at you with verve, bite. Cymbals will be better defined than with any other tube I have used. Strings are rich, deep, woody, ravishing. Drums will startle you. These are fast tubes. These are simply perfect tubes. They are clean, powerful, deep, holographic, warm and punchy. Highly recommended. 13 Comments on Psvane 845 vacuum tubes. T-II and WE ‘Replica’, from Grant Fidelity. Thank you for this review very rewarding. Following your wise advice, I purchased the Psvane 845-T-MII, and I’m very happy. And according to you, for LM-518IA, what are the best tube for input stage? Thank you for the review on this 845’s , i am seriously thinking of buying the T845mk2 from psvane, (i also have the line magnetic 518ia as amplifier,and just love it). I have bought the tj full music 12ax7 (thanks to your reviews and words), and only have one word, amazing what this little tubes do to the sound,the key word (just as you described it ) is warm. I just have one worry and that is , that i like a lot the fast and transparent way the lm518ia makes music (i only had kt88 push pulls until now),and i am afraid of losing that with the T’s,…i find the way the stock tubes do the mid-lows very fast and direct , very expressive, and with the ”fatter” sound of the T’s i am afraid of losing that quality, but ….Always a game,…..a fun one. portuguese living on the Netherlands, by the way. best reagards… Francisco. best regards,…..fat fingers will do this ……………. Just got the psvane 845t mark 2 today, but i am a bit worried about making a mistake with bias setting, so would kindly apreciate some help . Is the bias setting of this tubes the same 70ma as for the Original psvane hifi series ones ? 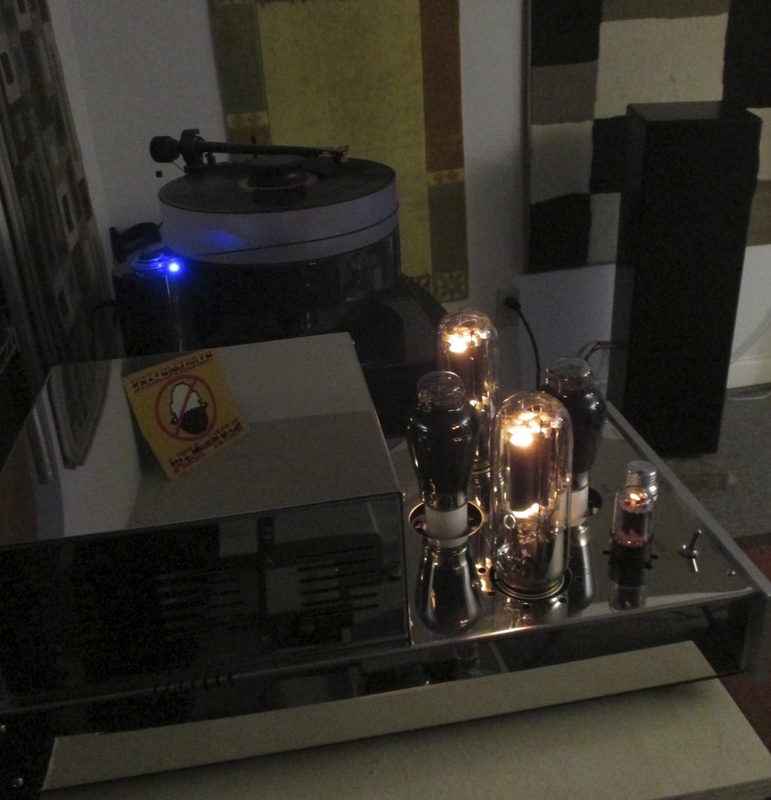 following the advise from my audio dealer, i biased the 845t at 70ma, just like the Original psvane hifi series tubes. I can’t say nothing over the improvement that makes justice to these great tube, i have to be honest i was not expecting this big an improvement, every change in tubes as been positive (tj full music 12ax7, genalex gz34, ge 6l6gc ), but with this 845t , is like i have an improved upgraded kind of ”se” version of the 518ia. Great tubes. worth every euro. Hi there, Yes, I agree, they are amazing tubes and not priced insanely given that they basically take your amp to another level of quality. Thanks Francisco for keeping us posted about your experience, very useful info as I’m also a Dutch LM-518ia owner considering to buy these tubes. I bought them from tone factory (online),… top service, first ones were not good, (bias kept on ”floating”),..I was sent a new pair without delay and without questions. Just wondering if you’ll now broaden your review of 845 tubes by adding a review of the newly released Shunguang Black Treasure 845-Z? Especially interested in how it might compare with the Psvane WE845. Thanks for your comment. Those are cool looking speakers! I haven’t seen them before.